According to the Relief and Resettlement Department (RRD), heavy rains triggered flash floods in Kawlin, Wuntho and Pinlebu townships in Sagaing Region on 9 June. More than 25,000 people were affected in Kawlin and two people killed in Wutho. The floods damaged bridges and farmlands. The Sagaing Regional Government is responding to urgent needs while RRD is providing cash assistance. Localized floods were also reported in other parts of the country on 10 and 11 June. The full extent of the damage is still being analyzed by authorities. The regional governments are leading the response with the support from the President’s Emergency Reserve Fund. On 7 June, the Province of Davao del Norte, in Mindanao, declared a state of calamity due to El Niño-induced drought. An estimated 57,240 families (229,000 people) are affected. Agricultural damage in the province is estimated at US$19.2 million. 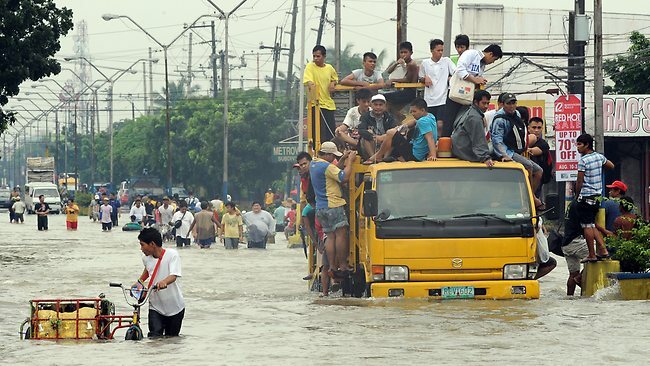 A total of 17 provinces across the Philippines remain under a state of calamity. From 5 to 9 June, flooding triggered by high tides and heavy rainfall occurred across 12 provinces in Sumatra, Java, Bali and Nusa Tenggara. At least 5,900 houses and temporary stalls were damaged and more than 30,000 houses were flooded. Local authorities provided assistance to the affected communities. On 8 June, a 6.6 magnitude earthquake struck 126 km off the west coast of Ternate City damaging 18 houses and a church. Another earthquake measuring 6.2 in magnitude hit 286 km southwest of West Sumbawa district, West Nusa Tenggara province, on 9 June, at a depth of 10 km. No damages or casualties were reported. On 8 June, the India Meteorological Department officially announced the onset of the southwest monsoon season as heavy rainfall was recorded in the southern states particularly Kerala and Tamil Nadu, where at least two people were killed by floods. Find furthe information and the infographic here.